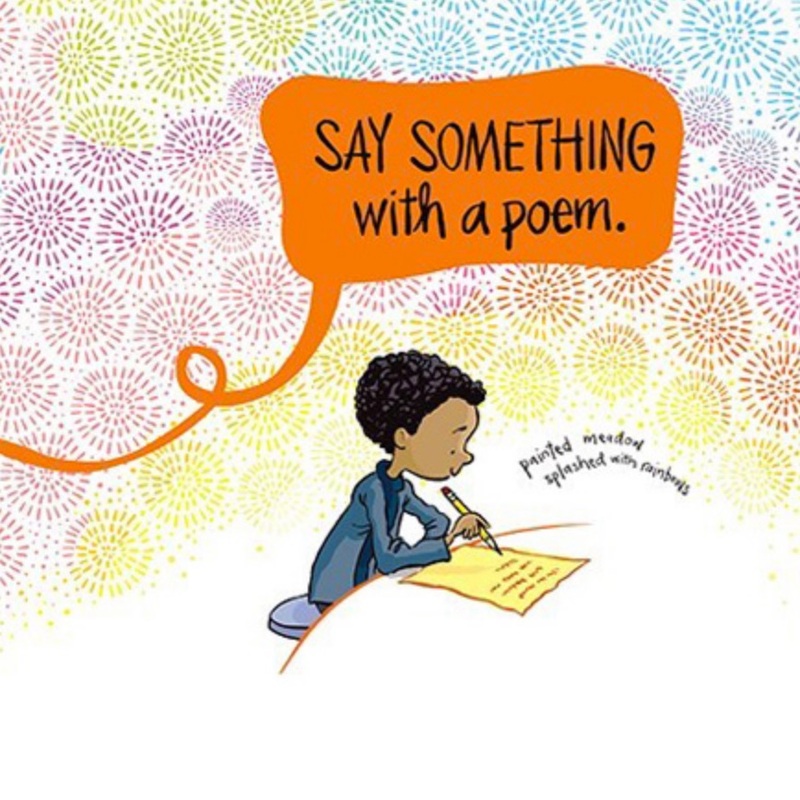 CanLit for LittleCanadians: Say Something! 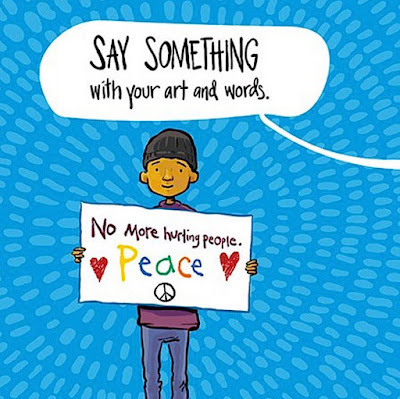 In his extraordinary way of blending message with art, Peter H. Reynolds, creator of The Dot (2003), Happy Dreamer (2017) and The Word Collector (2018), brings young readers to speak from the heart and make the world a better place for all. 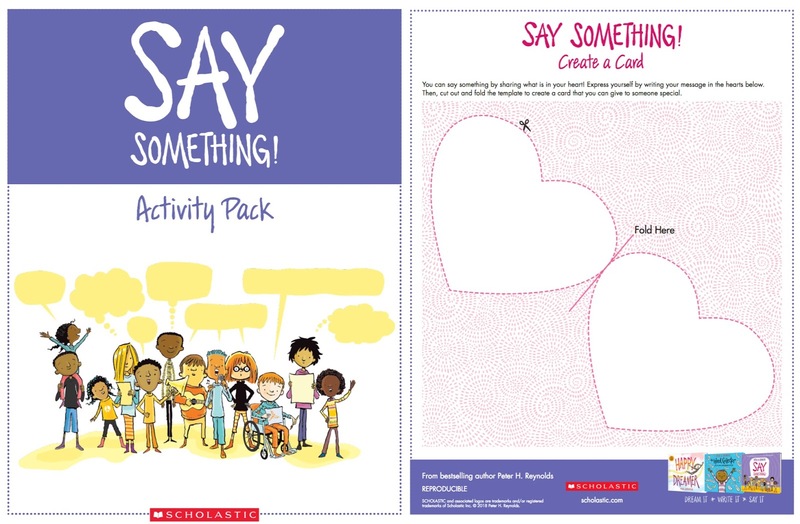 In a series of double spreads, children are encouraged to speak from the heart "with words, with action, with creativity" when they spot a lonely person or someone being hurt, or when they see an empty canvas or lot that could blossom to life, or when there are ideas and beauty to be shared. It's about being yourself and being your best self, helping everyone to understand and to say something too. and no one will be listening. ... and you will find someone who listens. 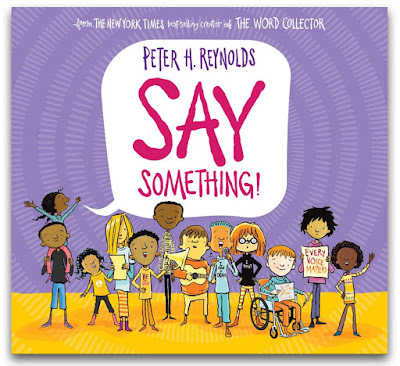 Peter H. Reynolds encourages all to say something in their own way, recognizing that some have strong voices that are easily heard and others are quieter, imparting their messages through poetry, art, fashion and science. 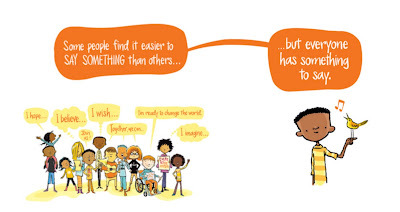 This acknowledgement of differences, including in our ways to communicate, makes Say Something! relevant and accessible to all. Say Something! says loads about standing up, sitting down, speaking out and stepping forward. 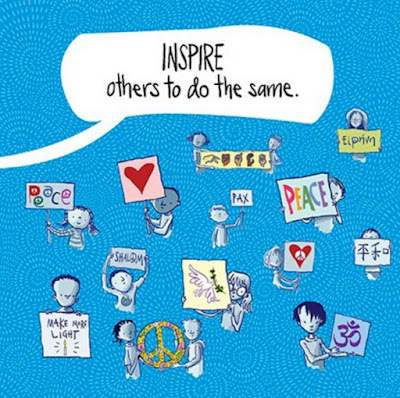 It's inspiring and motivating and empowering. 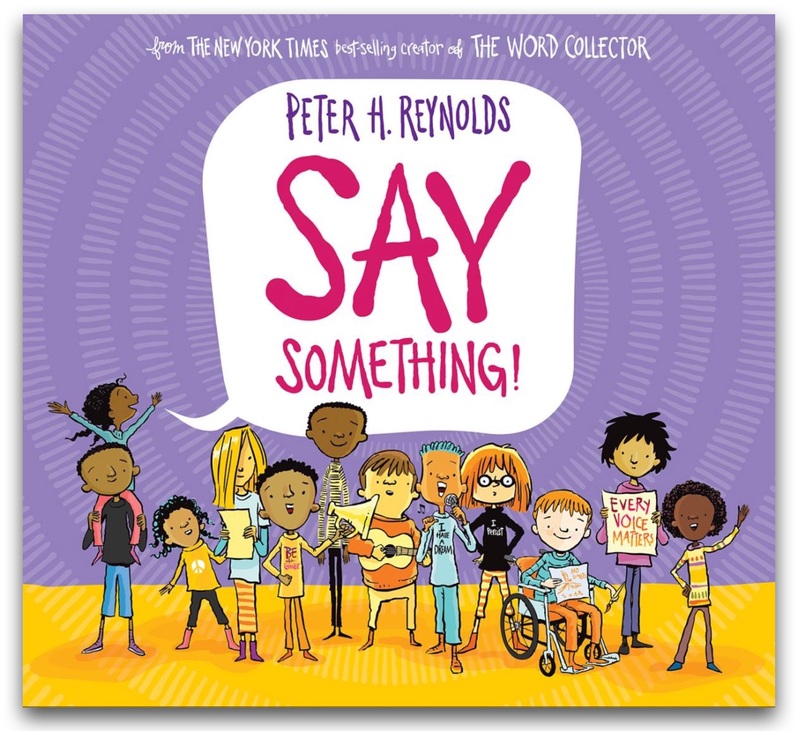 Thank you, Peter H. Reynolds, for cheering those who've led by saying something and encouraging all of us to do the same. 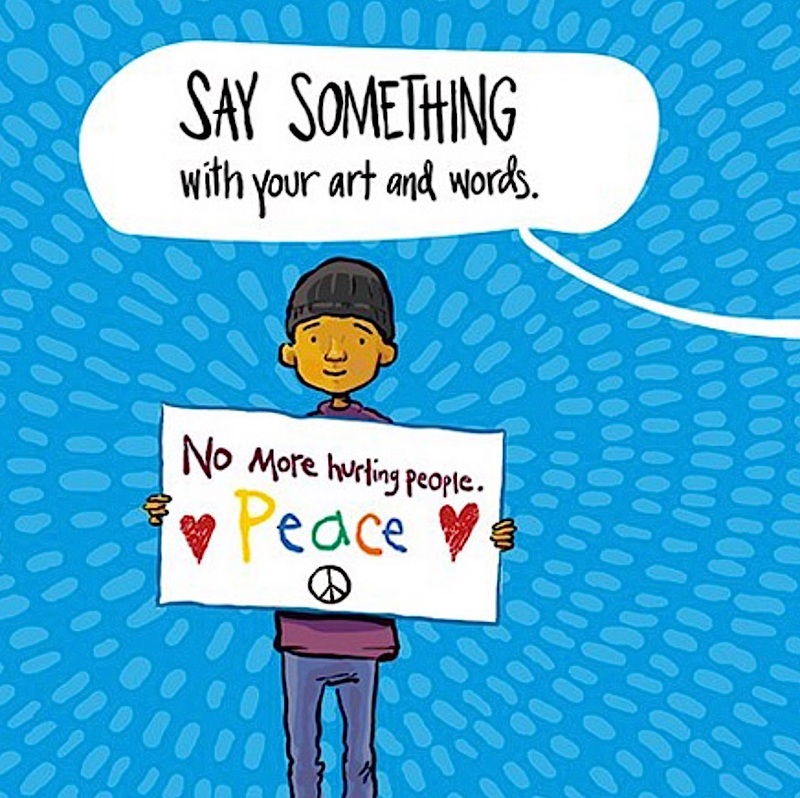 For more inspiration and to see more illustrations from the book, check out the official trailer posted by Scholastic on YouTube.